In 1907, Baum responded to countless readers' letters, clamoring for more tales about the Land of Oz. What had started as a stand-alone fairytale, The Wonderful Wizard of Oz, gave way to another stand-alone sequel in 1904, The Marvelous Land of Oz. 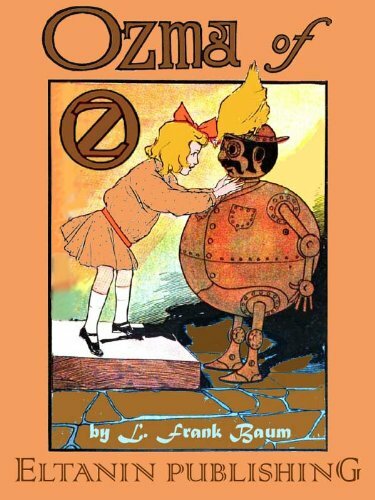 But it is the third Oz book, Ozma of Oz, where Baum and his illustrating partner, John R. Neill, produce the first Oz book that establishes the indelible tone and formula for the rest of the series. The successful approach in Ozma of Oz combines the best of the first two Oz books, starting with the return of the uniquely "American" Dorothy - who was absent in the second book - and integrating some of the darker fantasy elements and realistic illustrations of the sequel. L. Frank Baum (May 15, 1856 - May 6, 1919) was an American author of children's books, best known for writing the Oz series, beginning with The Wonderful Wizard of Oz and its sequel, The Marvelous Land of Oz. He wrote fourteen Oz books in all, and a host of other plays and novels. His works predicted such century-later commonplaces as television, laptop computers, wireless telephones, and women in high risk, action-heavy occupations. About Eltanin Publishing (Editor) : Eltanin Publishing is a published editor. A published credit of Eltanin Publishing is Ozma of Oz [Illustrated]. About John R Neill (Illustrator) : John R Neill is a published author, editor, and an illustrator of children's books. Some of the published credits of John R Neill include The Emerald City of Oz, Pirates in Oz.